Satya Nadella, chief executive officer (CEO) of software giant Microsoft, is visiting Hyderabad's T-Hub on Monday, 28 December. "Nadella will visit T-Hub in the city tomorrow. T-hub is the technological incubation centre set up by the Telangana government. He will interact with start-up entrepreneurs," Telangana IT secretary Jayesh Ranjan told PTI on 27 December. When asked about Nadella's four-day visit, Jayesh said, "He (Nadella) is on a private visit". 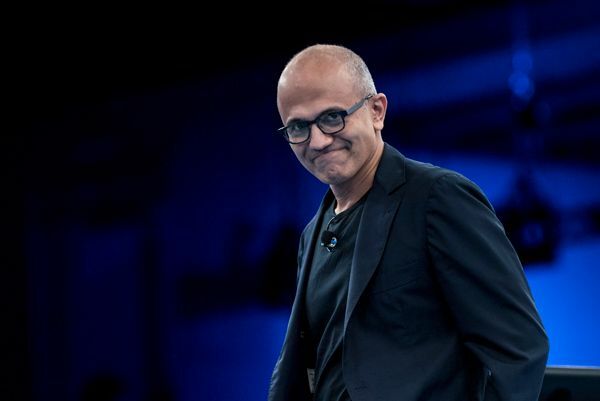 Telangana's IT minister K T Rama Rao had earlier said "Satya Nadella is coming on December 28. He is visiting T-Hub. We are planning to inaugurate some of our initiatives during that time. We are also inviting some other dignitaries." This will be for second time Nadella is visiting Hyderabad. During his visit in September last year, the Indian-origin IT giant chief addressed Microsoft's employees at its India Development Centre (IDC) here. The Telangana government had put in Rs 40 crore on the 70,000 sq ft facility constructed on the IIT-H campus. Meanwhile, Nadella is also expected to meet Andhra Pradesh chief minister N Chandrababu Naidu. "Though, it is not officially confirmed, AP CM may seek Microsoft's cooperation in implementing some of the Government schemes on MS cloud computing platforms", an AP Government official said.